The purposes of the D-8 zone are to permit high-density development, to foster the transition of a federally-owned area south of the National Mall into a mixed-use area of commercial, residential, cultural, arts, retail, and service uses with both public and private ownership, and to promote greater pedestrian and vehicular connectivity with an emphasis on re-establishing connections that have been compromised by previous street closings, vacations, obstructing construction, or changes in jurisdiction. D Street, S.W., between the L’Enfant Promenade/10th Street, S.W. and 12th Street, S.W. The following Downtown Sub-Area is found within the D-8 zone: Independence Avenue. A building in the D-8 zone may generate or use credits in accordance with Subtitle I, Chapters 8 and 9, which explains the credit system relating to Transferable Development Rights (“TDR”) or Combined Lot Development (“CLD”) rights. A building in the D-8 zone is subject to the front build-to regulations in Subtitle I § 203, with the exception of a building fronting on Independence Avenue, S.W. and subject to the Independence Avenue Sub-Area regulations in Subtitle I § 618. 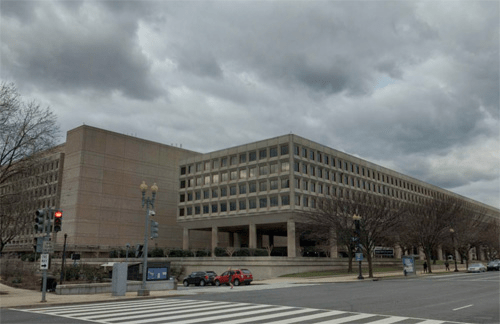 A front setback shall not be required for a building in the D-8 zone except when otherwise subject to the front setback regulations Subtitle I § 618 for a building fronting on Independence Avenue, S.W. All proposed uses, new buildings, and new structures, or any proposed exterior renovation to any existing buildings or structures in the D-8 zone that would result in an alteration of the existing exterior design, shall be subject to review and approval by the Zoning Commission as a special exception in accordance with the provisions of Subtitle X, Chapter 9 and Subtitle I §§ 581.2 through 581.5, and, for locations not subject to review by the Commission of Fine Arts and for locations fronting on Independence Avenue between 2nd and 12th Streets, N.W., shall be referred to the National Capital Planning Commission for review and comment. 1 The maximum permitted density shall be the density achievable within the height and bulk permitted by the zone and any applicable sub-area regulations, provided the building meets the requirements of Subtitle I § 575.2, and: (a) If all of the building’s FAR is devoted to residential use; (b) If all FAR exceeding the non-residential density permitted in Subtitle I §576.4 is devoted to residential use; or (c) If conditions (a) or (b) are not satisfied through the employment of credits provided for by Subtitle I, Chapters 8 and 9.